We are happy to introduce the children's version of the very popular Flirty Skirty Apron Pattern. 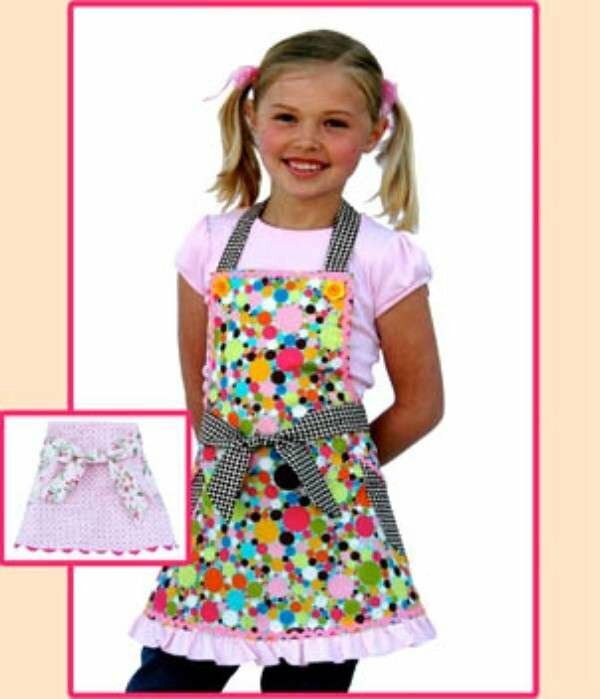 Girls of all ages will love the sassy fit of ths apron, and the flattering way it ties in the front! Also featured in this pattern is the adorable Half Apron with an old style Hollywood Waistline.